In telecommunications, a communication protocol is a system of rules that allow two or more entities of a communications system to transmit information via any kind of variation of a physical quantity. These are the rules or standard that defines the syntax, semantics and synchronization of communication and possible error recovery methods. Protocols may be implemented by hardware, software, or a combination of both. Communicating systems use well-defined formats (protocol) for exchanging various messages. Each message has an exact meaning intended to elicit a response from a range of possible responses pre-determined for that particular situation. The specified behavior is typically independent of how it is to be implemented. Communications protocols have to be agreed upon by the parties involved. To reach agreement, a protocol may be developed into a technical standard. A programming language describes the same for computations, so there is a close analogy between protocols and programming languages: protocols are to communications what programming languages are to computations. Most recent protocols are assigned by the IETF for Internet communications, and the IEEE, or the ISO organizations for other types. The ITU-T handles telecommunications protocols and formats for the PSTN. As the PSTN and Internet converge, the two sets of standards are also being driven towards convergence. The information exchanged between devices through a network, or other media is governed by rules and conventions that can be set out in technical specifications called communications protocol standards. The nature of a communication, the actual data exchanged and any state-dependent behaviors, is defined by these specifications. In digital computing systems, the rules can be expressed by algorithms and data structures. Expressing the algorithms in a portable programming language makes the protocol software operating-system independent. Operating systems usually contain a set of cooperating processes that manipulate shared data to communicate with each other. This communication is governed by well-understood protocols, which can be embedded in the process code itself. In contrast, because there is no common memory, communicating systems have to communicate with each other using a shared transmission medium. Transmission is not necessarily reliable, and individual systems may use different hardware or operating systems. To implement a networking protocol, the protocol software modules are interfaced with a framework implemented on the machine's operating system. This framework implements the networking functionality of the operating system. The best known frameworks are the TCP/IP model and the OSI model. At the time the Internet was developed, layering had proven to be a successful design approach for both compiler and operating system design and, given the similarities between programming languages and communications protocols, layering was applied to the protocols as well. This gave rise to the concept of layered protocols which nowadays forms the basis of protocol design. Systems typically do not use a single protocol to handle a transmission. Instead they use a set of cooperating protocols, sometimes called a protocol family or protocol suite. Some of the best known protocol suites include: IPX/SPX, X.25, AX.25, AppleTalk and TCP/IP. The protocols can be arranged based on functionality in groups, for instance there is a group of transport protocols. The functionalities are mapped onto the layers, each layer solving a distinct class of problems relating to, for instance: application-, transport-, internet- and network interface-functions. To transmit a message, a protocol has to be selected from each layer, so some sort of multiplexing and demultiplexing takes place. The selection of the next protocol is accomplished by extending the message with a protocol selector for each layer. Getting the data across a network is only part of the problem for a protocol. The data received has to be evaluated in the context of the progress of the conversation, so a protocol has to specify rules describing the context. These kind of rules are said to express the syntax of the communications. Other rules determine whether the data is meaningful for the context in which the exchange takes place. These kind of rules are said to express the semantics of the communications. Data formats for data exchange. Digital message bitstrings are exchanged. The bitstrings are divided in fields and each field carries information relevant to the protocol. Conceptually the bitstring is divided into two parts called the header area and the data area. The actual message is stored in the data area, so the header area contains the fields with more relevance to the protocol. Bitstrings longer than the maximum transmission unit (MTU) are divided in pieces of appropriate size. Address formats for data exchange. Addresses are used to identify both the sender and the intended receiver(s). The addresses are stored in the header area of the bitstrings, allowing the receivers to determine whether the bitstrings are intended for themselves and should be processed or should be ignored. A connection between a sender and a receiver can be identified using an address pair (sender address, receiver address). Usually some address values have special meanings. An all-1s address could be taken to mean an addressing of all stations on the network, so sending to this address would result in a broadcast on the local network. The rules describing the meanings of the address value are collectively called an addressing scheme. Address mapping. Sometimes protocols need to map addresses of one scheme on addresses of another scheme. For instance to translate a logical IP address specified by the application to an Ethernet hardware address. This is referred to as address mapping. Routing. When systems are not directly connected, intermediary systems along the route to the intended receiver(s) need to forward messages on behalf of the sender. On the Internet, the networks are connected using routers. 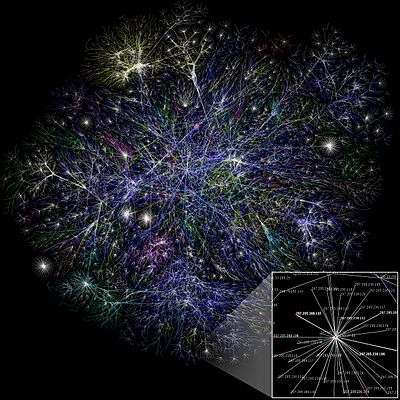 This way of connecting networks is called internetworking. Detection of transmission errors is necessary on networks which cannot guarantee error-free operation. In a common approach, CRCs of the data area are added to the end of packets, making it possible for the receiver to detect differences caused by errors. The receiver rejects the packets on CRC differences and arranges somehow for retransmission. Acknowledgements of correct reception of packets is required for connection-oriented communication. Acknowledgements are sent from receivers back to their respective senders. Loss of information - timeouts and retries. Packets may be lost on the network or suffer from long delays. To cope with this, under some protocols, a sender may expect an acknowledgement of correct reception from the receiver within a certain amount of time. On timeouts, the sender must assume the packet was not received and retransmit it. In case of a permanently broken link, the retransmission has no effect so the number of retransmissions is limited. Exceeding the retry limit is considered an error. Direction of information flow needs to be addressed if transmissions can only occur in one direction at a time as on half-duplex links. This is known as Media Access Control. Arrangements have to be made to accommodate the case when two parties want to gain control at the same time. Sequence control. We have seen that long bitstrings are divided in pieces, and then sent on the network individually. The pieces may get lost or delayed or take different routes to their destination on some types of networks. As a result, pieces may arrive out of sequence. Retransmissions can result in duplicate pieces. By marking the pieces with sequence information at the sender, the receiver can determine what was lost or duplicated, ask for necessary retransmissions and reassemble the original message. Protocols are to communications what algorithms or programming languages are to computations. This analogy has important consequences for both the design and the development of protocols. One has to consider the fact that algorithms, programs and protocols are just different ways of describing expected behavior of interacting objects. A familiar example of a protocolling language is the HTML language used to describe web pages which are the actual web protocols. In programming languages the association of identifiers to a value is termed a definition. Program text is structured using block constructs and definitions can be local to a block. The localized association of an identifier to a value established by a definition is termed a binding and the region of program text in which a binding is effective is known as its scope. The computational state is kept using two components: the environment, used as a record of identifier bindings, and the store, which is used as a record of the effects of assignments. In communications, message values are transferred using transmission media. By analogy, the equivalent of a store would be a collection of transmission media, instead of a collection of memory locations. A valid assignment in a protocol (as an analog of programming language) could be Ethernet:='message' , meaning a message is to be broadcast on the local ethernet. On a transmission medium there can be many receivers. For instance a mac-address identifies an ether network card on the transmission medium (the 'ether'). In our imaginary protocol, the assignment ethernet[mac-address]:=message value could therefore make sense. By extending the assignment statement of an existing programming language with the semantics described, a protocolling language could easily be imagined. Operating systems provide reliable communication and synchronization facilities for communicating objects confined to the same system by means of system libraries. A programmer using a general purpose programming language (like C or Ada) can use the routines in the libraries to implement a protocol, instead of using a dedicated protocolling language. Despite their numbers, networking protocols show little variety, because all networking protocols use the same underlying principles and concepts, in the same way. So, the use of a general purpose programming language would yield a large number of applications only differing in the details. A suitably defined (dedicated) protocolling language would therefore have little syntax, perhaps just enough to specify some parameters or optional modes of operation, because its virtual machine would have incorporated all possible principles and concepts making the virtual machine itself a universal protocol. The protocolling language would have some syntax and a lot of semantics describing this universal protocol and would therefore in effect be a protocol, hardly differing from this universal networking protocol. In this (networking) context a protocol is a language. The notion of a universal networking protocol provides a rationale for standardization of networking protocols; assuming the existence of a universal networking protocol, development of protocol standards using a consensus model (the agreement of a group of experts) might be a viable way to coordinate protocol design efforts. Networking protocols operate in very heterogeneous environments consisting of very different network technologies and a (possibly) very rich set of applications, so a single universal protocol would be very hard to design and implement correctly. Instead, the IETF decided to reduce complexity by assuming a relatively simple network architecture allowing decomposition of the single universal networking protocol into two generic protocols, TCP and IP, and two classes of specific protocols, one dealing with the low-level network details and one dealing with the high-level details of common network applications (remote login, file transfer, email and web browsing). ISO choose a similar but more general path, allowing other network architectures, to standardize protocols. Communicating systems operate in parallel. The programming tools and techniques for dealing with parallel processes are collectively called concurrent programming. Concurrent programming only deals with the synchronization of communication. The syntax and semantics of the communication governed by a low-level protocol usually have modest complexity, so they can be coded with relative ease. High-level protocols with relatively large complexity could however merit the implementation of language interpreters. An example of the latter case is the HTML language. Concurrent programming has traditionally been a topic in operating systems theory texts. Formal verification seems indispensable, because concurrent programs are notorious for the hidden and sophisticated bugs they contain. 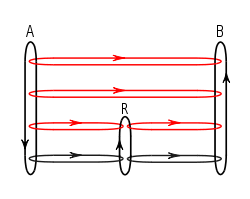 A mathematical approach to the study of concurrency and communication is referred to as Communicating Sequential Processes (CSP). Concurrency can also be modelled using finite state machines like Mealy and Moore machines. Mealy and Moore machines are in use as design tools in digital electronics systems, which we encounter in the form of hardware used in telecommunications or electronic devices in general. This kind of design can be a bit of a challenge to say the least, so it is important to keep things simple. For the Internet protocols, in particular and in retrospect, this meant a basis for protocol design was needed to allow decomposition of protocols into much simpler, cooperating protocols. Systems do not use a single protocol to handle a transmission. Instead they use a set of cooperating protocols, sometimes called a protocol family or protocol suite. To cooperate the protocols have to communicate with each other, so some kind of conceptual framework is needed to make this communication possible. Also note that software is needed to implement both the 'xfer-mechanism' and a protocol (no protocol, no communication). In literature there are numerous references to the analogies between computer communication and programming. By analogy we could say that the aforementioned 'xfer-mechanism' is comparable to a cpu; a 'xfer-mechanism' performs communications and a cpu performs computations and the 'framework' introduces something that allows the protocols to be designed independent of one another by providing separate execution environments for them. Furthermore, it is repeatedly stated that protocols are to computer communication what programming languages are to computation. In modern protocol design, protocols are "layered". Layering is a design principle which divides the protocol design into a number of smaller parts, each of which accomplishes a particular sub-task, and interacts with the other parts of the protocol only in a small number of well-defined ways. Layering allows the parts of a protocol to be designed and tested without a combinatorial explosion of cases, keeping each design relatively simple. Layering also permits familiar protocols to be adapted to unusual circumstances. For example, the mail protocol above can be adapted to send messages to aircraft. Just change the V.42 modem protocol to the INMARS LAPD data protocol used by the international marine radio satellites. The communications protocols in use on the Internet are designed to function in very diverse and complex settings. To ease design, communications protocols are structured using a layering scheme as a basis. Instead of using a single universal protocol to handle all transmission tasks, a set of cooperating protocols fitting the layering scheme is used. The layering scheme in use on the Internet is called the TCP/IP model. The actual protocols are collectively called the Internet protocol suite. The Internet Engineering Task Force (IETF) is responsible for this design. Another reference model used for layering is the OSI seven layer model, which can be applied to any protocol, not just the OSI protocols. In particular, the Internet Protocol can be analysed using the OSI model. Typically, a hardware delivery mechanism layer is used to build a connectionless packet delivery system on top of which a reliable transport layer is built, on top of which is the application software. Layers below and above these can be defined, and protocols are very often stacked to give tunnelling, for example the internet protocol can be tunnelled across an ATM network protocol to provide connectivity by layering the internet protocol on top of the ATM protocol transport layer. The number of layers of a layering scheme and the way the layers are defined can have a drastic impact on the protocols involved. This is where the analogies come into play for the TCP/IP model, because the designers of TCP/IP employed the same techniques used to conquer the complexity of programming language compilers (design by analogy) in the implementation of its protocols and its layering scheme. For example, one layer might describe how to encode text (with ASCII, say), while another describes how to inquire for messages (with the Internet's simple mail transfer protocol, for example), while another may detect and retry errors (with the Internet's transmission control protocol), another handles addressing (say with IP, the Internet Protocol), another handles the encapsulation of that data into a stream of bits (for example, with the point-to-point protocol), and another handles the electrical encoding of the bits, (with a V.42 modem, for example). Figure 3. Message flows using a protocol suite. Black loops show the actual messaging loops, red loops are the effective communications between layers enabled by the lower layers. In computations, we have algorithms and data, and in communications, we have protocols and messages, so the analog of a data flow diagram would be some kind of message flow diagram. To visualize protocol layering and protocol suites, a diagram of the message flows in and between two systems, A and B, is shown in figure 3. Physical networks are interconnected by routers. Routers forward packets between interconnected networks making it possible for hosts to reach hosts on other physical networks. The message flows between two communicating system A and B in the presence of a router R are illustrated in figure 4. Datagrams are passed from router to router until a router is reached that can deliver the datagram on a physically attached network (called direct delivery). To decide whether a datagram is to be delivered directly or is to be sent to a router closer to the destination, a table called the IP routing table is consulted. The table consists of pairs of networkids and the paths to be taken to reach known networks. The path can be an indication that the datagram should be delivered directly or it can be the address of a router known to be closer to the destination. A special entry can specify that a default router is chosen when there are no known paths. Network interface layer. The network interface layer is responsible for accepting IP datagrams and transmitting them over a specific network. A network interface may consist of a device driver or a complex subsystem that uses its own data link protocol. Program translation has been divided into four subproblems: compiler, assembler, link editor, and loader. As a result, the translation software is layered as well, allowing the software layers to be designed independently. Noting that the ways to conquer the complexity of program translation could readily be applied to protocols because of the analogy between programming languages and protocols, the designers of the TCP/IP protocol suite were keen on imposing the same layering on the software framework. This can be seen in the TCP/IP layering by considering the translation of a pascal program (message) that is compiled (function of the application layer) into an assembler program that is assembled (function of the transport layer) to object code (pieces) that is linked (function of the Internet layer) together with library object code (routing table) by the link editor, producing relocatable machine code (datagram) that is passed to the loader which fills in the memory locations (ethernet addresses) to produce executable code (network frame) to be loaded (function of the network interface layer) into physical memory (transmission medium). To show just how closely the analogy fits, the terms between parentheses in the previous sentence denote the relevant analogs and the terms written cursively denote data representations. Program translation forms a linear sequence, because each layer's output is passed as input to the next layer. Furthermore, the translation process involves multiple data representations. We see the same thing happening in protocol software where multiple protocols define the data representations of the data passed between the software modules. The network interface layer uses physical addresses and all the other layers only use IP addresses. The boundary between network interface layer and Internet layer is called the high-level protocol address boundary. The modules below the application layer are generally considered part of the operating system. Passing data between these modules is much less expensive than passing data between an application program and the transport layer. The boundary between application layer and transport layer is called the operating system boundary. Formal ways for describing the syntax of the communications are Abstract Syntax Notation One (an ISO standard) or Augmented Backus-Naur form (an IETF standard). Some of the standards organizations of relevance for communications protocols are the International Organization for Standardization (ISO), the International Telecommunication Union (ITU), the Institute of Electrical and Electronics Engineers (IEEE), and the Internet Engineering Task Force (IETF). The IETF maintains the protocols in use on the Internet. The IEEE controls many software and hardware protocols in the electronics industry for commercial and consumer devices. The ITU is an umbrella organization of telecommunication engineers designing the public switched telephone network (PSTN), as well as many radio communications systems. For marine electronics the NMEA standards are used. The World Wide Web Consortium (W3C) produces protocols and standards for Web technologies. A lesson learned from ARPANET (the predecessor of the Internet) is that standardization of protocols is not enough, because protocols also need a framework to operate. It is therefore important to develop a general-purpose, future-proof framework suitable for structured protocols (such as layered protocols) and their standardization. This would prevent protocol standards with overlapping functionality and would allow clear definition of the responsibilities of a protocol at the different levels (layers). This gave rise to the OSI Open Systems Interconnection reference model (RM/OSI), which is used as a framework for the design of standard protocols and services conforming to the various layer specifications. Comparison of routing protocols: The routing protocols exploit their unique characteristics under some set of rules for instructing the elements in the wireless networks. All routing protocols have strengths and weaknesses. Over time, the routing protocols have developed and have been adapted to the requirements of complex networks. The comparison analysis on several protocol parameters that assists to determine the robustness of protocols. In order to do that, the different scenarios on the same network to be simulated that reveals the best performance of one over the others and proves the robustness of compared protocols. The comparison results of protocols under any one factor that do not able to ensure the definite performance of such protocols as equal to the real-time scenarios. Since, the real-time scenarios face more complexities during routing such as nodes density, unpredictable speed, bandwidth insufficiency, and so on. Therefore, when the protocol comparison analysis, many factors must take into account for clearly understanding the distinct characteristics of a routing protocol and estimating its relationship with others. Thus, it helps to select the most appropriate routing protocol for the network. A layering scheme combines both function and domain of use. The dominant layering schemes are the ones proposed by the IETF and by ISO. 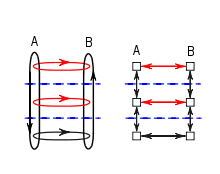 Despite the fact that the underlying assumptions of the layering schemes are different enough to warrant distinguishing the two, it is a common practice to compare the two by relating common protocols to the layers of the two schemes. For an example of this practice see: List of network protocols. ↑ Tennent 1981, Section 2.3.1 - Definitions, p.15, defines scope and binding. ↑ Tennent 1981, Section 2.3.2 Environments and stores, p.16, the semantics of blocks and definitions are described using environments and stores. ↑ Hoare (1985), Ch. 4 - Communication, p. 133, In the introduction: a communication is an event described by a pair c.v where c is the name of the communication channel and v is the value of the message. ↑ Tanenbaum, Andrew S. (2003). Computer networks. Prentice Hall Professional. p. 235. ISBN 978-0-13-066102-9. Retrieved 22 June 2011. ↑ Comer 2000, Foreword To The First Edition By The Late Jon Postel, xxv, "The principles of architecture, layering, multiplexing, encapsulation, addressing and address mapping, routing, and naming are quite similar in any protocol suite, though of course, different in detail.". 1 2 Comer 2000, Sect. 11.2 - The need for multiple protocols, p. 178, explains similarities protocol software and compiler, assembler, linker, loader. ↑ Comer 2000, Sect. 11.9.1 - High-Level Protocol Boundary, p. 191, describes the boundary. ↑ Bochmann, G. (1978). "Finite state description of communication protocols". Computer Networks (1976). 2 (4–5): 361–201. doi:10.1016/0376-5075(78)90015-6.